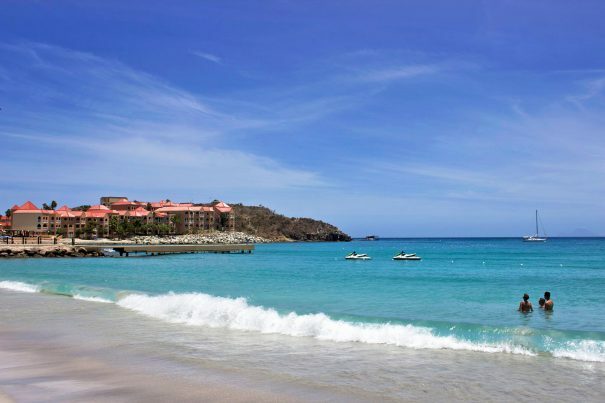 Exactly one year after Hurricane Irma hit Divi Little Bay Beach Resort and St. Maarten, the island and its resilient people are well on their way to recovery and eager to welcome back travelers to enjoy the island’s stunning beaches, duty-free shopping, mouthwatering restaurants, exhilarating excursions and fabulous accommodations! 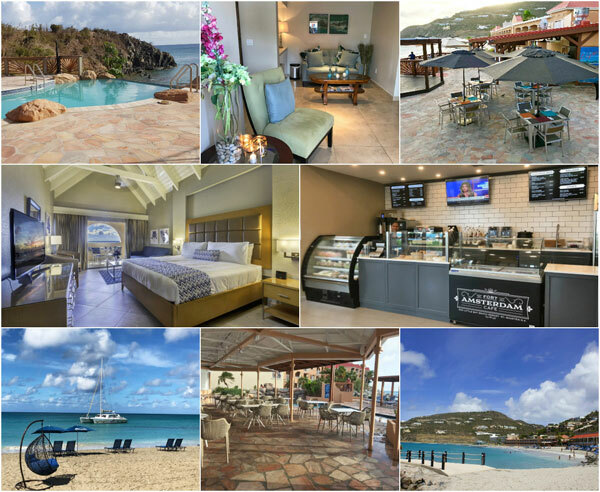 The newly renovated Divi Little Bay features completely refreshed units, updated Seabreeze and Infinity Pools, Fort Amsterdam Cafe (formerly Bayview Café) with gourmet coffee and a new menu, new chairs and areas to relax at the pools and beach, new furniture for Gizmo’s Bar & Grill, a restored dock where boat trips have resumed, brand new restaurant menus and upgraded landscaping and lighting throughout the resort. Updates still to come in 2018 include a stunning new main pool called the pureocean pool (formerly the Casitas pool), which will be enlarged with waterfalls, a new pureocean pool bar and an expansive seating area, a new eatery, The Shack, serving Caribbean BBQ, Jerk Chicken, Roti and more, expanding pureocean Restaurant and adding new terrace furniture and lighting and creating a new kid’s space and game room. The Official 2019 Patriots Cheerleaders Calendar goes on sale in the third week in September. For more information or to see more photos from the trip, visit www.patriots.com/cheerleaders. To view the Sideline to Shoreline promotional video, visit www.patriots.com/video/patriots-cheerleaders-from-sideline-to-shoreline. Travelers seeking a similar island experience to the Patriots Cheerleaders are in luck! Divi Little Bay’s Concierge Desk offers special discounts on many of these experiences are more than happy to help you book excursions and plan the trip of a lifetime. Plus, from now until September 30, 2018, travelers can score 30% off room only and all-inclusive stays at Divi Little Bay for travel through December 20, 2019. With rates as low as $169 per night (room only) and $195 per person, per night (all-inclusive), and roundtrip flight deals starting at just $231 from FLL (Fort Lauderdale), now is the perfect time to book fall and winter travel. Divi’s 30% off deal runs through September 30th, 2018 at 11:59 p.m. ET, for travel through December 20, 2019. For reservations, book online at www.diviresorts.com/caribbean-promotion.htm or call 1-800-367-3484 (Toll-free US) or 1- 919-419-3484 (International). For group reservations, please call 1-800-801-5550 or email groupsales@diviresorts.com. This offer applies to reservations made through September 30, 2018 for travel through December 20, 2019. Discount based on rack pricing. All-inclusive rates based on double occupancy. Taxes & services charges NOT included, except for All-Inclusive packages. 3-night minimum stay required for All-Inclusive packages. No maximum night stay is required. Restrictions & blackout dates apply. Full payment is required at time of reservation. Cancellations must be received at least 7 days prior to arrival for refund. Flight cancellations are subject to airline cancellation policies. Divi Resorts is not responsible for changes in airfare pricing. Offer is subject to availability and may be discontinued at any time. Offer valid on new reservations booked at a nightly rate only. Offer not valid on timeshare reservations. Cannot be combined with any other Divi special offer or discounted rate.